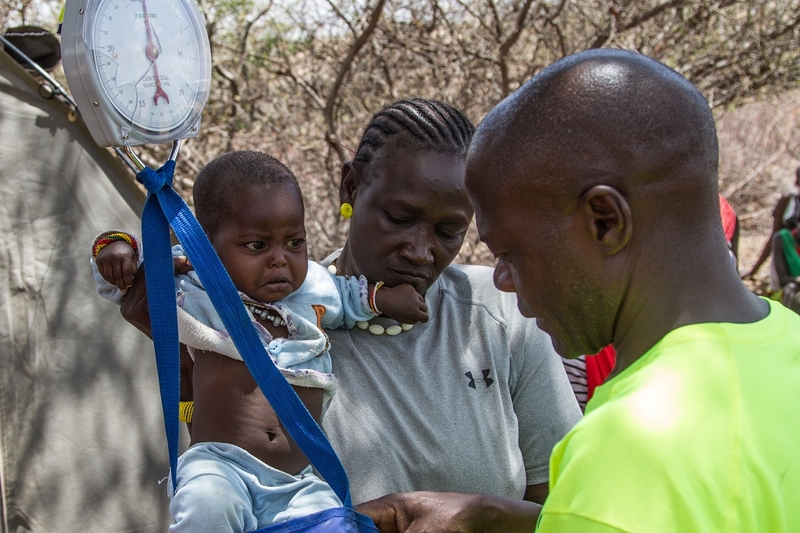 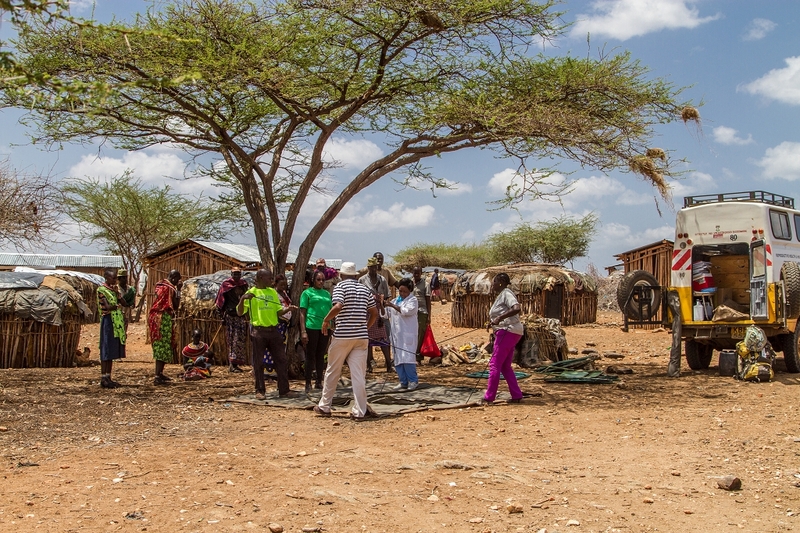 Communities Health Africa trust (CHAT) works with marginalised communities, many of whom are semi-nomadic pastoralists, mainly in the counties of Marsabit, Isiolo, Laikipia, Baringo and Samburu, who have limited access to healthcare. 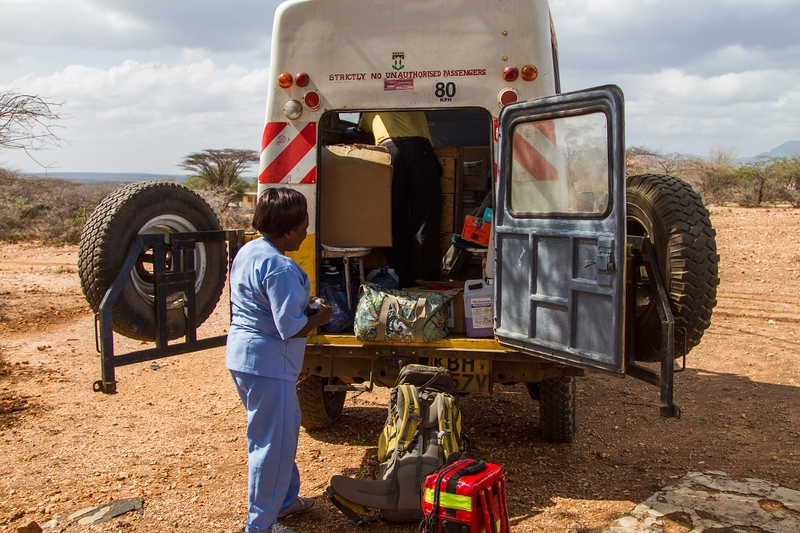 The roads in these areas can be very challenging and CHAT uses a variety of means of transport to reach their clients. 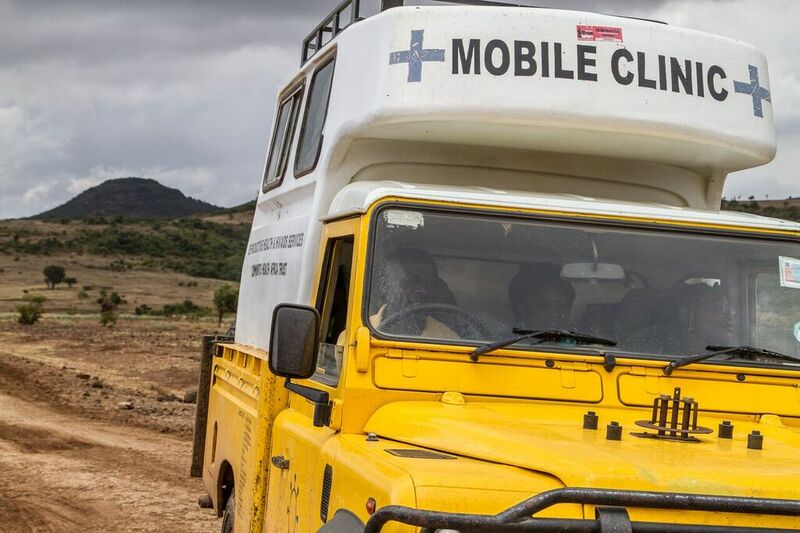 Sometimes their nurse will travel on the back of a motorbike, sometimes in a Land Rover and when the going gets very tough a team of camels is used to move the clinic. 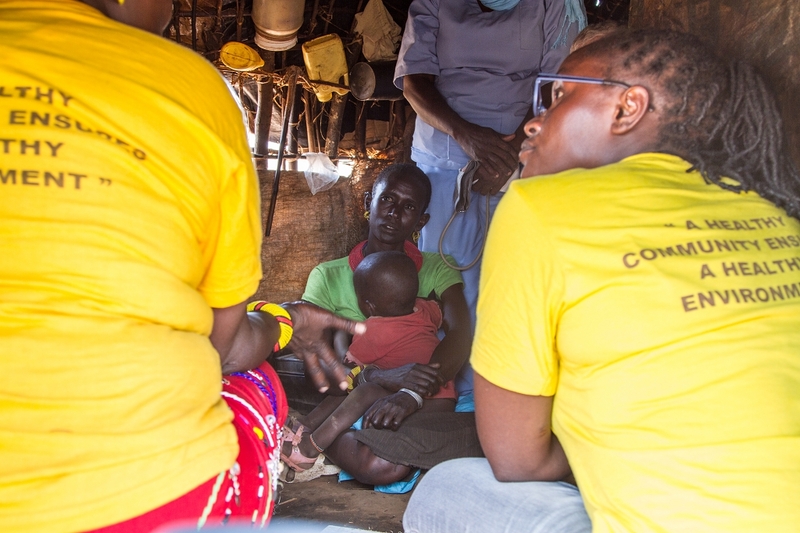 In the 10 days before a clinic arrives the CHWs make every effort to publicise what health services will be available; going door to door and targeting Chief gatherings and churches.